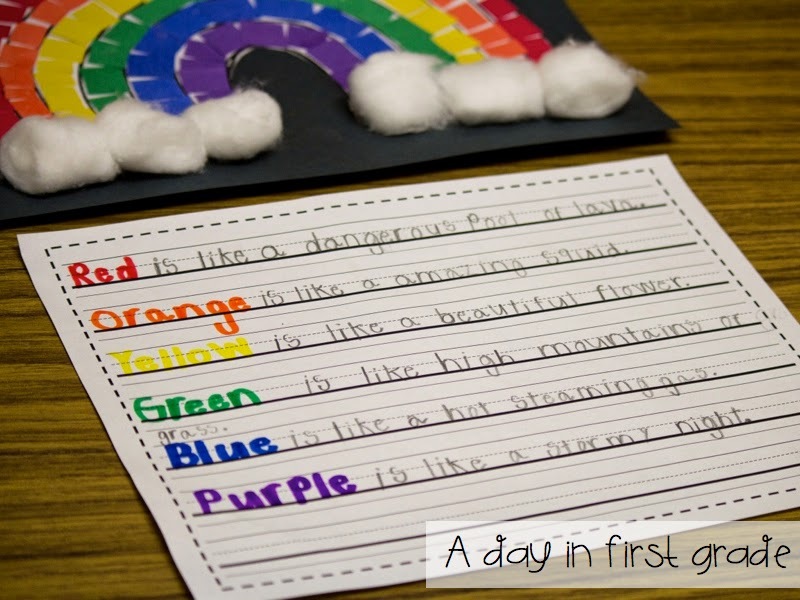 During writing workshop, we have been working on making our writing more colorful. 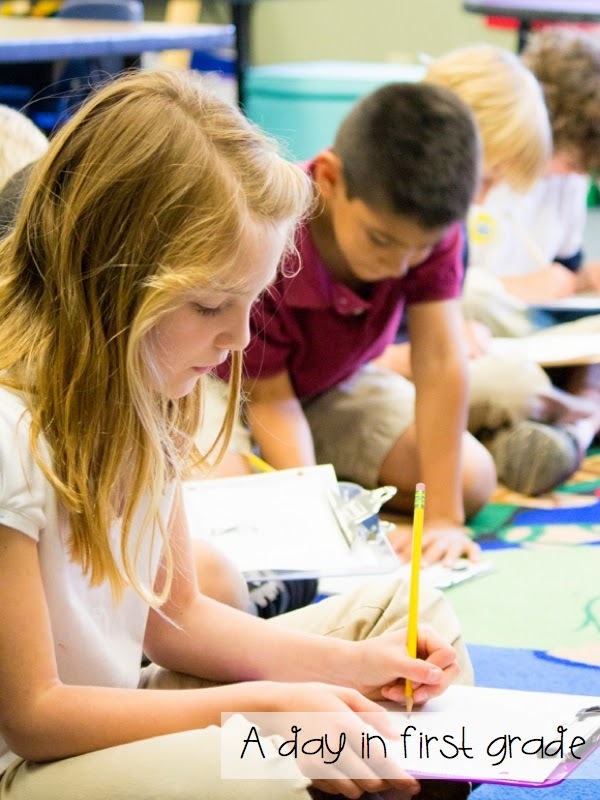 I wanted my students to really focus on word choice to help their readers visualize what they were talking about. Therefore, I used a lesson that I have blogged about before, but added a new twist to it. I grabbed a bunch of colored poster board from our supply closet and used the colors to inspire my students. We brainstormed what each color made us think about and I recorded my students responses. 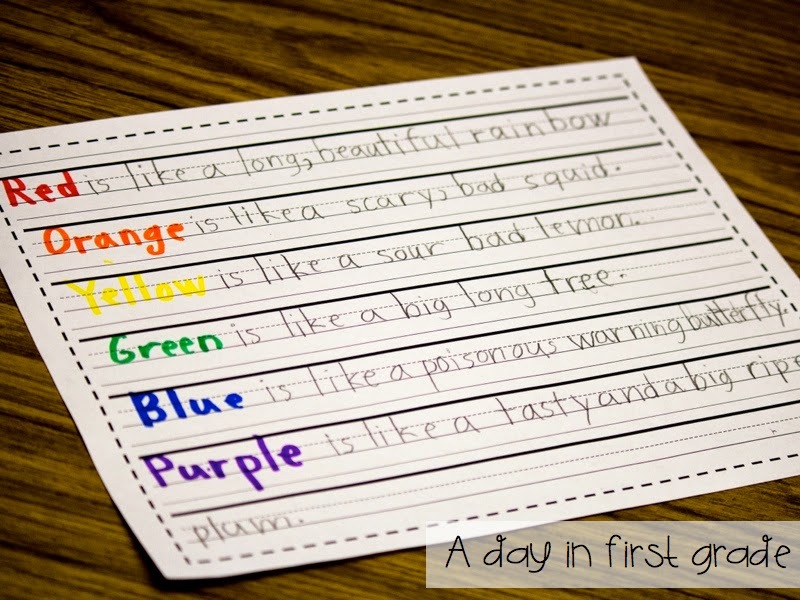 After we came up with nouns that each color reminded us of, we worked on adding adjectives to describe those nouns. We talked about how we didn’t want to just say that orange reminded us of a tangerine, but that it reminded us of a juicy and sweet tangerine. We practiced closing our eyes to really visualize what we were saying. 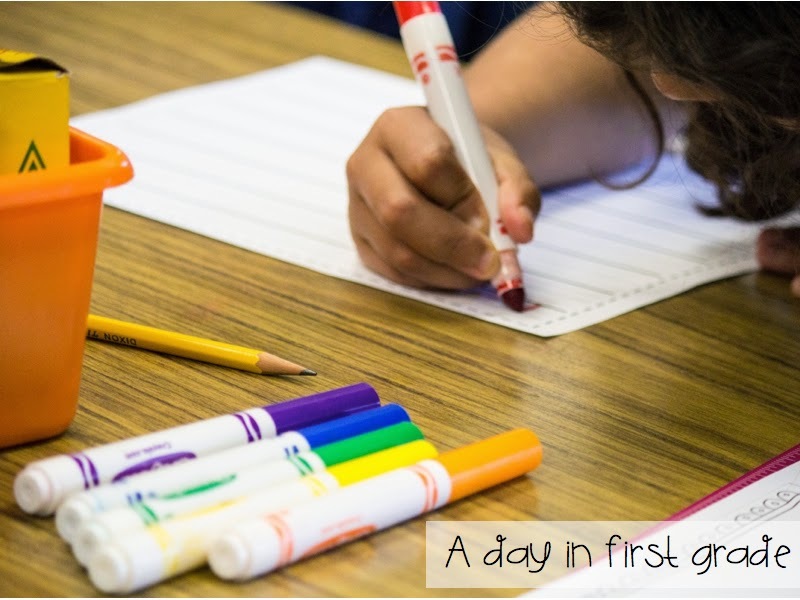 As we brainstormed, my students jotted down their favorite color examples and then went back to their seats to turn each color into their own sentences. I really loved how their writing came out and we added a “tear paper” craft to go with it. 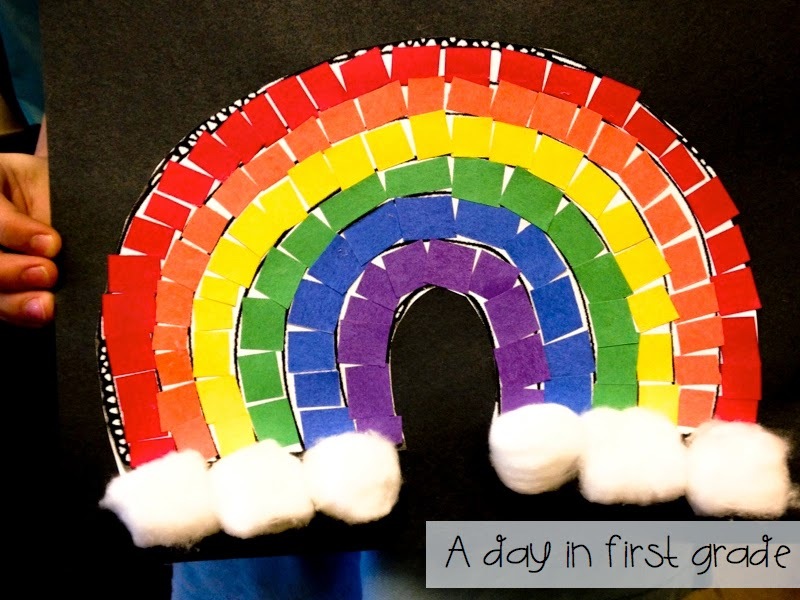 To do this craft I used a rainbow template and had my students cut strips and little rectangles of each color to fill in their rainbows. Then they cut them out, glued them on a piece of black paper and we added cotton ball clouds. 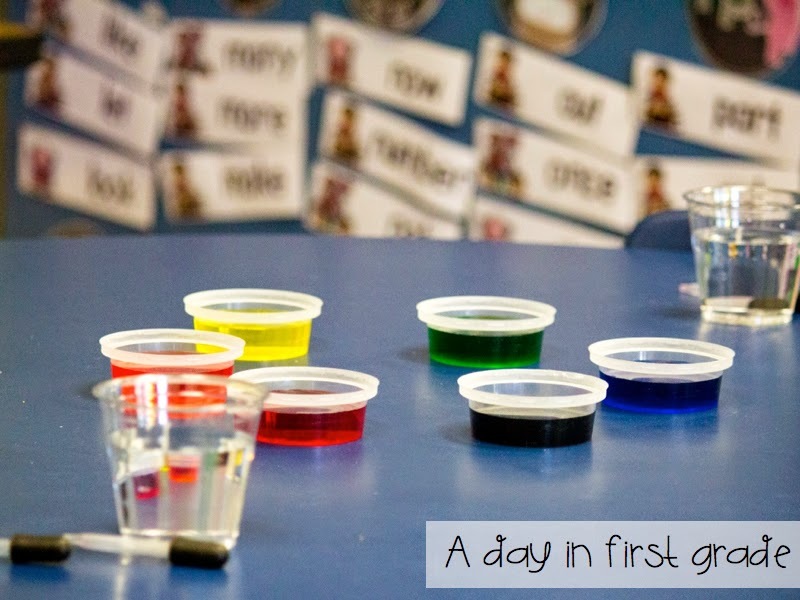 That afternoon we had to end the day with a quick science activity to go along with our rainbow writing. 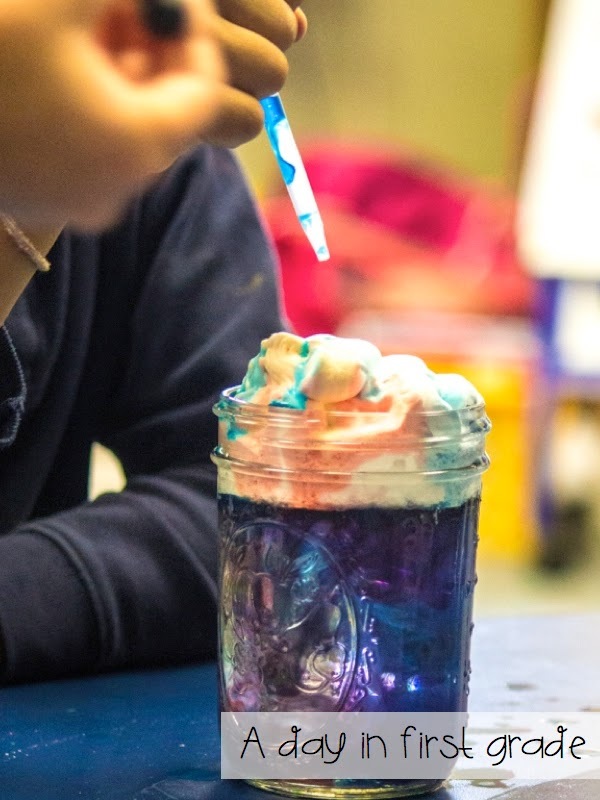 We did our rainbow cloud in a jar activity and once again, it was a huge hit! To do this, simply pour water into a mason jar so that it is filled 3/4 of the way and top it with shaving cream. 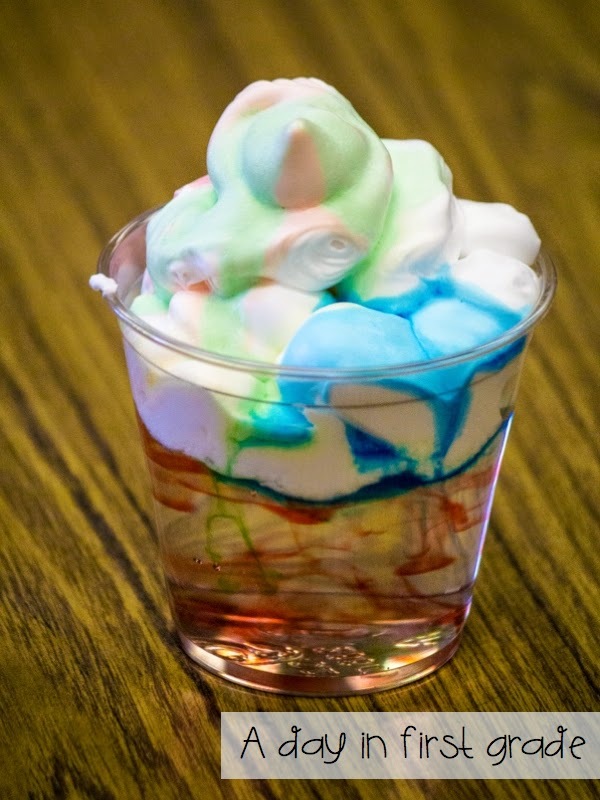 In small containers pour a little bit of water and 5-6 drops of food coloring for each color of the rainbow. 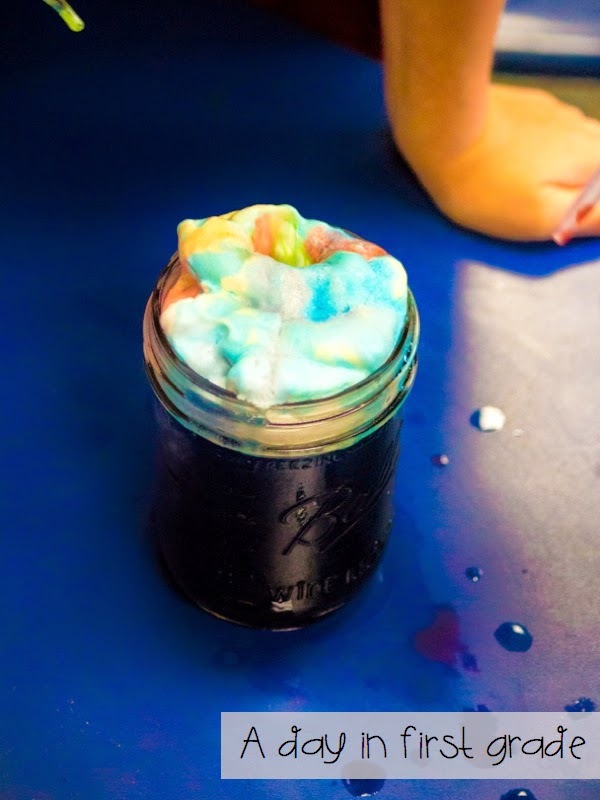 My students loved watching it rain a rainbow and mix in the jar. 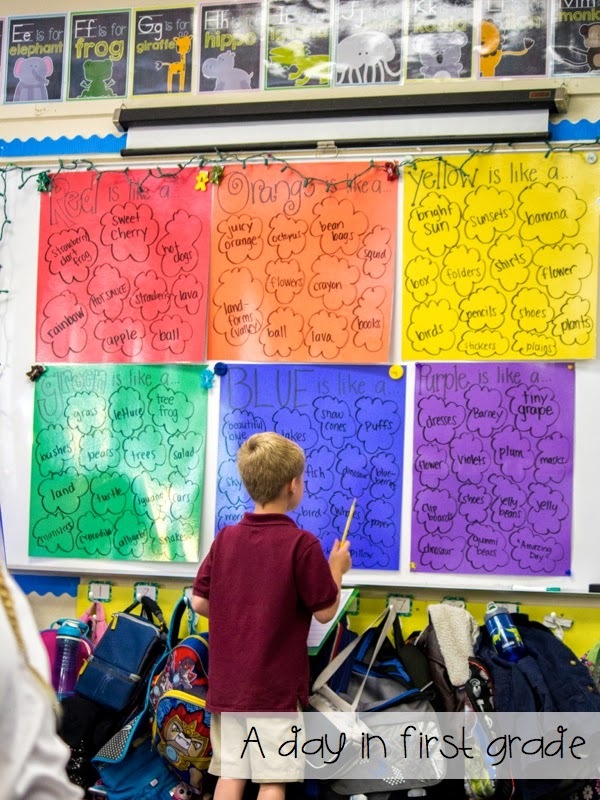 What a terrific idea for teaching word choice! You are such a genius, Kristen!! !